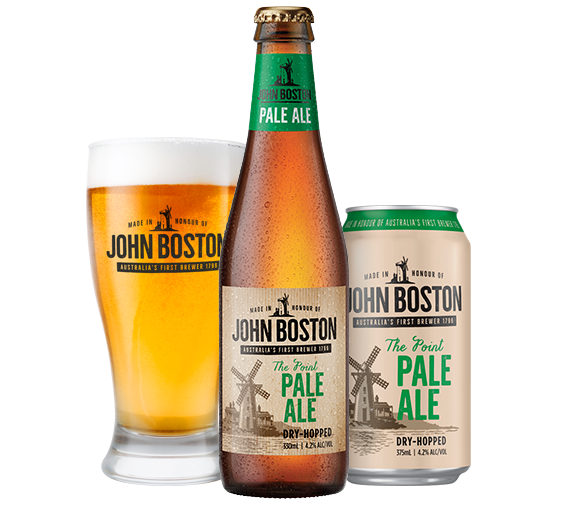 John Boston The Point Pale Ale is a light-bodied, Australian style Pale Ale with subtle tropical fruit and grassy characteristics. Beautifully balanced with a crisp, clean lingering finish this beer is a most refreshing Pale Ale. John Boston The Guardhouse Golden Ale is an aromatic beer with mouth-watering notes of stone fruit and Australian pale toffee malt characteristics. This results in full-bodied flavour, an intense golden hue and a velvety smooth finish. 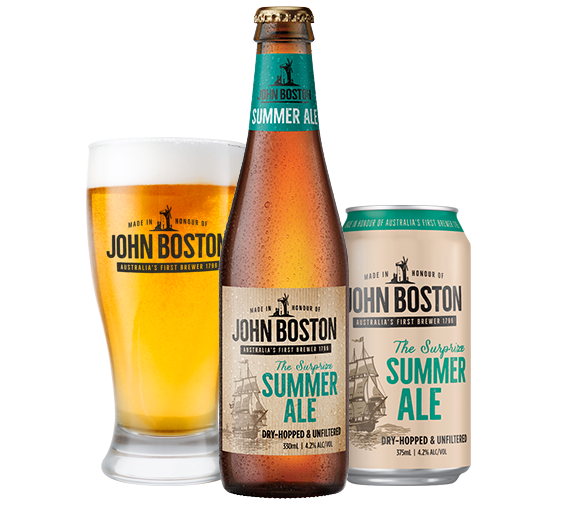 John Boston The Surprize Summer Ale is a crisp, fruity ale with pronounced tropical aromas of passionfruit and pineapple – key characteristics of the Australian galaxy hops. On the palate the ale has sweet fruit salad notes that dance on the palate for a long finish. 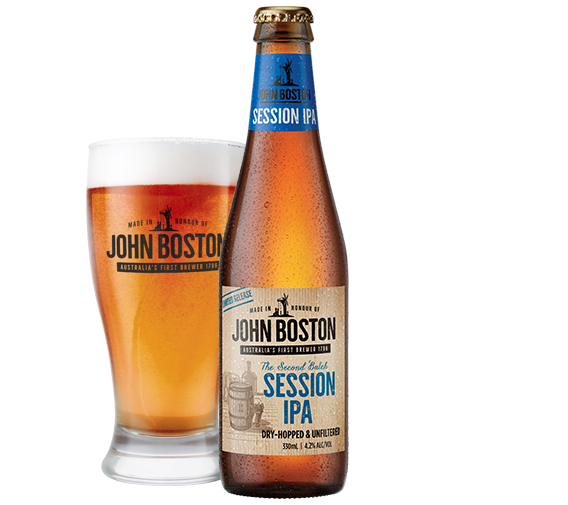 John Boston brewed Australia’s first beer using corn bittered with love-apple stalks. While Boston’s beer wasn’t the best tasting drop, we have brewed The Second Batch in his honour. This new beer has been brewed in a a state-of-the-art brewery and features no corn or stalks, just easy-drinking Session IPA.